It's not our vision that counts- it's YOURS! make any event a success. experience an event for yourself. Take advantage of our event planning expertise to help mold your special occasion into one that exceeds your expectations and permits you the opportunity to not only execute your vision, but to enjoy the process along the way. At All in the Details, we realize that no two events are the same, nor are two clients. For these reasons, we place great importance on getting to know each client individually by listening and taking into consideration their vision, budget, concerns and top priorities. 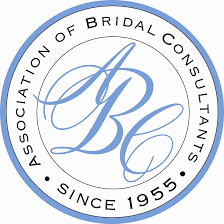 Most importantly, throughout the planning process we strive to create a relationship of trust with our clients to let them know that the success of any given occasion means just as much to us as it does to you. How do you want your guests to remember this occasion? More importantly, how do YOU want to experience and remember the event? The first step is to say "Hello!" E-mail , call, or text us at 317.821.PLAN and let's chat about your vision; after all, it's All in the Details. Recently featured in Wedding Day Magazine . 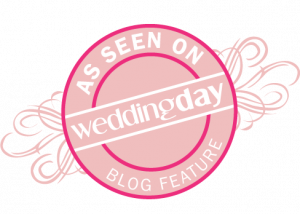 When my partner and I were left high and dry by another wedding planner, All in the Details came in to save our big day in the final month before our wedding. I think that says a lot about what you can expect from Sarah and her amazing company. She was like a part of the family by the time everything was said and done. 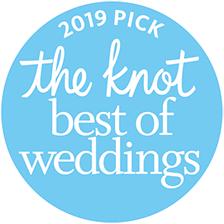 I cannot possibly recommend her services enough to the couple who wants to know everything will be taken care of while getting to enjoy the big day instead of stressing out. Throughout the whole day we were told repeatedly how helpful and on top of everything Sarah's team was. She took care of so many last minute problems and anticipated what we needed usually before we knew we needed it. Easily the best money we spent for the whole wedding and if I had to do it again I would probably just hire Sarah immediately after my partner proposed so I wouldn't have spent a second stressing over details and gotten to work more with this amazing woman! Working with Sarah is the quintessential experience! Right from hello, Sarah is professional, personable and makes event planning fun. She captures every detail and does her research. For my wedding, she did her homework to find out the drink recipe for my special cocktail that fit my wedding theme perfectly! Sarah will go the extra mile to ensure your event is a very memorable one. Every detail was captured at my reception and even more. I had ordered cookies from my husband's favorite bakery and had them shipped to our venue as a surprise. Sarah took them and created this amazing themed display that truly magnified my efforts to catch my guests' eye along with putting a huge smile on his face. She made my cocktail reception one that will be talked about by guests for years to come with her creativity in unique themed decorations. My wedding was an evening nothing short of spectacular thanks to Sarah. then you have found this in All in the Details. I had the pleasure of working with Sarah Farthing for several years when I co-chaired The Buckaroo Bash, a major fundraiser for the Eiteljorg museum. Sarah was our liaison. Sarah was a dream come true... there was no detail ever left undone. Sarah could predict what we needed during all steps of our planning and implementation and therefore each Bash was seamless, smooth and successful. Sarah is a true professional to work with: detail oriented, punctual, organized and extremely efficient. In addition she exudes class and grace. I recommended her in every way. She is a gem! 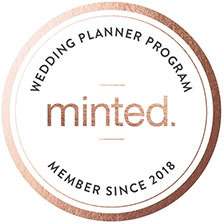 My husband and I had the amazing opportunity to work with Sarah Farthing as our lead planner for our wedding. Our day couldn't have been any more perfect, we (and our guests) had an unforgettable time. 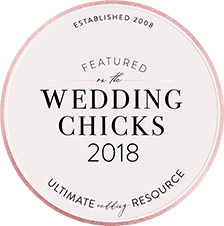 What could have been an incredibly stressful planning process was made easy with Sarah's meticulous attention to every detail, understanding of our wants and needs, and quickness to respond to any question. I can't thank her enough for her patience, great taste with recommendations, and knowledge of the wedding industry. Even though we got married during the busy wedding season, I felt like I was her only client and got all the attention I could have ever asked for. We absolutely wouldn't have had the most perfect wedding day without her! Sarah did an amazing job helping us with our daughter's wedding! Her professionalism, attention to detail, and scheduling with the wedding ceremony and later reception made everything run smoothly! It was a delight working with Sarah. She made our daughter's big day wonderful in every way! Thank you! I had the opportunity to work as a volunteer with Sarah Farthing at the Eiteljorg Museum. Our project was an important fund-raising event for the museum. I found Sarah to be very easy to work with and pleasant. She kept a big picture view of the project while being attentive to details. She also appeared to work very efficiently. She treated me, as a volunteer, with respect and was very responsive and communicative when I gave suggestions or had questions. I enjoyed working with her very much.